Our last column dealt with Isabelo de los Reyes as a “subversive folklorist” colliding with the religious obscurantism and Spanish effort to denigrate and destroy Filipino native culture. American colonialism presented a new attack on Philippine nationhood. According to Paul Kramer in “Folkloric Science and Fili­busterismo Between Empires, 1879-1901” (Philippine Revolution and Beyond, l998), an American explorer and government scientist, John Wesley Powell, set out in the 1880s to form scientific groups that would promote the goals of “rational” white settlement in the West and the “total assimilation” of the Indian. Geological survey teams would measure topography, rain levels. And soil quality while the Bureau of American Ethnology at the Smithsonian would send researchers to Indian territories to preserve what were seen as dying cultures and to facilitate the execution of government policy. As Kramer sees it, these efforts were “almost completely at odds with the work of Isabelo de los Reyes who had restored the old native names not written on maps. Powell had paved the West with new names, some of them the last names of political patrons in Washington.” In the Philippines, we have seen the naming of streets and plazas after American generals, states, and cities. Kramer says that De los Reyes had cautioned about the use of foreign words; Powell had argued that “civilized nations” inevitably imposed their languages on “savage” ones. “De los Reyes’ medium and subject matter had both been popular, while Powell’s, intended only for experts, had been encased in the language of scientific societies and reports like those of the National Geographic Society,” Kramer points out. Powell’s counterpart in the Philippines was Dean Worcester, a zoologist from Michigan, who traveled to the Philippines to study bird life in the late 1880s and early 1900s. In his travels he made some observations, and as a zoologist he was inclined to taxonomy—dividing people into different “races” (as he did in the exhibit of Filipino tribes in the St. Louis World Fair). Like Powell, Worcester tried to rank these groups by their relative level of advancement. Worcester was appointed to the Philippine Commission, which included three educated Filipinos who served well as subalterns of the American colonizers. Under Worcester, a new kind of imperialist science would supplant the revolutionary research of de los Reyes. This science would study the islands’ population and natural resources with an eye towards their “assimilation” into the US. Worcester, for his efforts, was alluded to in “Aves de Rapina” (Birds of Prey), an editorial of El Renacimiento, and he sued for libel. The publication closed down. 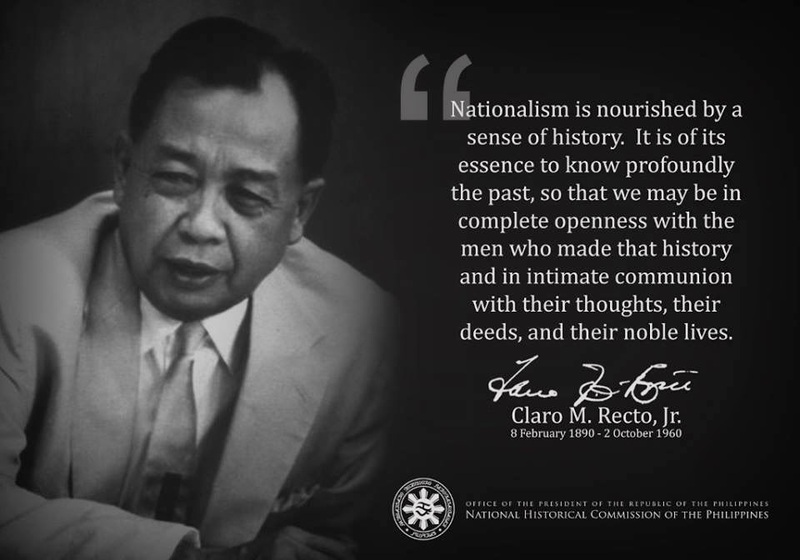 The “benevolent assimilation” policy of the US included the teaching of English in a public school system and the sending of pensionados to the US as well as the suppression of the Filipino press and cultural forms such as the zarzuela as written by Aurelio Tolentino and other patriots. De los Reyes’ revolutionary Filipinas ante Europa was censored. In 1901, de los Reyes was denied a press permit on grounds of subversion. Appearing before the Philippine Commission, he was questioned by Worcester for protesting the sedition law on the grounds that there was no such thing as a political “crime.” Worcester abruptly cut off de los Reyes and curtly told him to sit down. This was the time that de los Reyes became active in labor organizing and one of his achievements was leading the May 1 march to Malacañang with a hundred thousand workers. Future US authorities would denigrate de los Reyes and his brand of journalism. James Le Roy, secretary to Governor-General William Howard Taft, described de los Reyes as the author of “mostly worthless” pamphlets. Thus, Kramer says, de los Reyes’ call for cultural and political independence was undermined by press censorship and harassment as the Americans set up a “formidable intellectual apparatus to discredit Filipino demands for self-rule.” However, by 1907, for the first Philippine Assembly, the nationalists, running on the platform of immediate and absolute independence, roundly defeated the federalists who advocated US statehood. What de los Reyes started in the building of a revolutionary culture and folkloric studies as a means to define national pride and identity – as well as in labor organizing by making workers class conscious and nationalistic – constitutes the legacy of Isabelo de los Reyes. For all this, it is sad to see our national leaders still acting as Gunga Dins of the former colonizers.